Mind-Matters Series Video#9: Why Do We Limit Ourselves? It’s a strange thing about human beings, we are often our own worst enemy because of how and what we think. We deny ourselves the opportunity to improve and grow purely because we limit ourselves through a lack of self-belief, lack of confidence and all because we think we can’t do it, can’t have it, can’t be it, don’t deserve it. These thoughts come about through conditioning from other people as well as our own homegrown rhetoric and are often developed through a lack of focus and understanding of what it is we actually want for ourselves. This lack of awareness and focus can be hugely detrimental to our lives in terms of achieving what we want, yet it can take just a few minutes a day of learning to focus our minds, clearing the crap (thoughts and behaviours) and setting it on the right path at the beginning of each day enables you to become aware of what does make you happy, what really flicks your switch and then you can start to take action and make changes in your life and design the one YOU want and not one that others want for you. I hope this video gives you food for thought and is a starting point and/or a catalyst for you to start from. As always I’m here for guidance. Posted on January 15, 2018 Categories mindest, perceptionTags change, limiting beliefs, mindset, perceptionLeave a comment on Mind-Matters Series Video#9: Why Do We Limit Ourselves? Why Are Our Beliefs So Important? The concept of belief presumes a subject (a person) and an object of belief (the idea). So, like other propositional attitudes, belief implies the existence of mental states and intentionality, both of which are hotly debated topics in the philosophy of mind, whose foundations and relation to brain states are still controversial. Beliefs are sometimes divided into core beliefs (that are actively thought about) and dispositional beliefs (that may be ascribed to someone who has not thought about the issue). For example, if I asked you “do you believe tigers wear high heels?” you might answer that you don’t, despite the fact you’ve never had to think about this situation before. Our common-sense understanding of belief may not be entirely correct, but it is close enough to make some useful predictions – This view argues that we will eventually reject the idea of belief as we know it now, but that there may be a correlation between what we take to be a belief when someone says “I believe that snow is white” and how a future theory of psychology will explain this behaviour. Most notably, philosopher Stephen Stich has argued for this particular understanding of belief. Our common-sense understanding of belief is entirely wrong and will be completely superseded by a radically different theory that will have no use for the concept of belief as we know it – Known as eliminativism, this view (most notably proposed by Paul and Patricia Churchland) argues that the concept of belief is like obsolete theories of times past such as the four humours theory of medicine, or the phlogiston theory of combustion. In these cases science hasn’t provided us with a more detailed account of these theories, but completely rejected them as valid scientific concepts to be replaced by entirely different accounts. The Churchlands argue that our common-sense concept of belief is similar in that as we discover more about neuroscience and the brain, the inevitable conclusion will be to reject the belief hypothesis in its entirety. Our common-sense understanding of belief is entirely wrong; however, treating people, animals, and even computers as if they had beliefs is often a successful strategy – The major proponents of this view, Daniel Dennett and Lynne Rudder Baker are both eliminativists in that they hold that beliefs are not a scientifically valid concept, but they don’t go as far as rejecting the concept of belief as a predictive device. Dennett gives the example of playing a computer at chess. While few people would agree that the computer held beliefs, treating the computer as if it did (e.g. that the computer believes that taking the opposition’s queen will give it a considerable advantage) is likely to be a successful and predictive strategy. In this understanding of belief, named by Dennett the intentional stance, belief-based explanations of mind and behaviour are at a different level of explanation and are not reducible to those based on fundamental neuroscience, although both may be explanatory at their own level. So after all that, how do we define Belief? Definition: A belief is a Driver (usually Unconscious) we hold and deeply trust about something. They can trigger our Values, Emotions & Behaviours. Beliefs tend to be buried deep within the subconscious. We seldom question beliefs; we hold them to be truths even when there is no solid evidence to support the belief. A Belief is aroused by an Event e.g. without being aware of it, Andy held the belief that it was ok to openly criticise people. Alienation of his friends caused him to identify, question, and change this belief about what is acceptable to others. We each behave as though our beliefs are true. What we perceive defines what we believe and this belief or perception is what guides our behaviour. A Belief is a form of judging something to be true, sitting somewhere between opinion and knowledge. Opinion is a subjective statement or thought about an issue or topic, and is the result of emotion or interpretation of facts. Knowledge is learnt expertise, skills, facts and information. A simple definition for a belief is: A belief is an assumed truth. We create beliefs to anchor our understanding of the world around us and thus, once we have formed a belief, we will tend to persevere with that belief, sometimes even when holding onto that belief is detrimental to us. Change begins with awareness. Awareness begins with learning about how beliefs and emotional reaction are created by choice. 2. Conditioned Beliefs: These come from an assessment of what has happened in the past and then predicts the same results in the future. So we get beliefs such as I‘m no good at this or I can‘t do that. These beliefs, if negative, can stifle our potential and limit our lives. 3. Core Beliefs: Can be positive or negative, lead us to be an optimist or pessimist and decide the answers to such questions as Who am I?, What is life about? What we learn and experience in early life shapes beliefs about the world and ourselves. Core beliefs are like a mental framework that supports our thoughts, beliefs, values and perception. Core beliefs are the deepest of all because what we believe “deep down inside” underpins our value system and our attitudes and opinions. This is one of the reasons why core beliefs are seldom questioned even when they are causing enormous problems within the person who holds that core belief. Last of all, there is a fourth type of belief that overlaps all three previous types and these are Limiting Beliefs. These can be hugely destructive and even lead us to the point of complete hopelessness and suicide. Now of course, this does not have to be the case and is rare in the grand scheme of things, however, these limiting beliefs that we all have from time to time can really hold us back from achieving what we want to achieve in life. The one common false belief holding you back is that you think that your past determines who you are. If that were true, no one would ever overcome adversity, benefit from a second chance, or improve themselves through education, self-discipline, or perseverance. Your past actions, good and bad, can be judged by you and by others. You can learn from your errors as well as your successes. Others can think what they will, but neither your reflections on your past nor others’ opinions of you determine who you are now or in the future. Believing that your past defines who you are is a toxic fallacy. Consider a circus elephant chained by one leg to a stake in the ground: Why doesn’t the elephant just pull the stake loose and wander away? Because it couldn’t do so when it was young. And so the adult elephant is still restrained—not by the chain, but by its past, or rather, the learned associations from its past (Chain around leg means “can’t walk”). Cognitive dissonance is the culprit that motivates us to maintain the belief that what we were in the past is all that we ever will be. Leon Festinger originated the concept back in the 1950s. He also proposed the principle of cognitive consistency—that is, that we seek to maintain mental and emotional balance by thinking and acting in compliance with who we think we are. And who do we think we are? The same person we have always been. And so when we attempt to think and act differently, cognitive dissonance sets in. Here’s the trick— metacognition. That simply means being able to observe one’s own thinking and feelings objectively and unemotionally, so that one can assess what may be “pushing our buttons.” If you want to change but experience cognitive dissonance in the process, metacognition can help you identify dissonance as a normal but unhelpful reaction. With effort you can then master the dissonance and proceed with the changes you want to make, until those changes become the new normal. Are you chained to the past? If so, that chain exists only in your mind. You can remember and reflect on the past without being defined and limited by it. What’s stopping you? Life begins at the end of your comfort zone. Limiting Beliefs are beliefs we have that limit the way we live, or from being, doing or having what we want. We all have limiting beliefs from time to time in our lives, particularly when we have to learn something new that is way out of our comfort zone, beyond our current skill set or just so completely different from anything we’ve done before. If you speak to any Olympic athlete they will tell you that there have been times when they wanted to quit because at times they felt it was just too hard to achieve that small improvement in performance to throw or jump further, to swim or run faster. They constantly have help from their coaches to reframe these negative thoughts that create limiting beliefs. These four elements of the Commando Spirit; courage, determination, unselfishness and cheerfulness in the face of adversity, were etched into my mind during my basic eight months training and are well known to all Royal Marine recruits by the time they complete their Commando training. But these constituents of the ‘Commando Spirit’ are what make the Royal Marines individual ‘commandos’. What shapes the way they work as a team, giving the Royal Marines its special identity, the way they carry their duties, is a second set of group values laid out below. They should seem quite familiar. It is the combination of individual Commando Spirit qualities, coupled with these group values, that together forms the Royal Marine ethos. 1. Any ‘feelings’ that you can’t feel: If the description you give yourself or someone else gives you which, when you “try it on,” is something you cannot feel without hallucinating substantially. Eg ‘I feel I have to worry’. Also, where the word ‘feel’ could be replaced by ‘believe’ and the sentence still makes sense, then that could indicate a limiting belief. Eg ‘I feel (believe) people don’t like me’. 4. Limiting Decisions: Whenever a Limiting Belief is adopted, a Limiting Decision preceded that acceptance. A Limiting Decision preceded even the beliefs that were adopted from other people. Eg ‘I should know all the answers’, ‘I should get it right every time’. 5. Modal Operators of Necessity: Words such as have to, got to, must, ought, should. The Pygmalion effect refers to the phenomenon in which the greater the expectation placed upon people (such as children, students, or employees) the better they perform. The Pygmalion effect is a form of self-fulfilling prophecy. Within sociology, the effect is often cited with regard to education and social class. The principle works in both ways, if you have high expectations then people will generally respond positively and achieve what’s expected, equally on the other side of the coin, if we have low expectations of people then they will respond according to our attitude and behaviour towards them. I don’t have any money ———————— I can’t make any money. I am not a good athlete ———————— I cannot become a good athlete. I don’t have any qualifications —————- I need qualifications to succeed. Below is a little exercise that explains how to change or reframe a limiting belief so that you change your beliefs/thinking/attitude/feelings which changes your actions/behaviours which changes the results you achieve in your life. I would really like you to consider this exercise and take some time to think about the times in your life where you have doubted yourself and created a limiting belief or had a long held, conditioned limiting belief that held you back from achieving something you really wanted, perhaps not permanently but something that slowed you down and got in your way. Use this exercise to draw out the detail of a limiting belief/s and use this knowledge to reframe it into an empowering belief that drives your life in the direction you want it to go. Every single one of your beliefs is important to you because what you believe determines who and how you are. I would like you to use this cheat sheet and take some time to think about the times in your life where you have doubted yourself and created a limiting belief/s that have held you back from achieving something you really wanted. Perhaps not permanently but something that slowed you down and got in your way. I recommend writing a description of each belief in as much detail as possible so that you really understand what it is made of, this makes it much easier to identify what you can, want and need to change in order to reframe it and change it into a positive, empowering belief. How does it make you feel when you think about that limiting belief? Can you identify what changed and when, if it did? What limiting belief/s do you have right now? How does that make you feel? What do you want to believe about that situation, person, people etc that would change the outcome to one that is positive for you? How does changing the belief about that situation make you feel? Use this section to reframe and rewrite your old limiting beliefs into new Empowering beliefs that bring a whole new spin, a new energy to them as they transform you and lead your life in a direction that you may have been striving for and now it will happen all by itself as you change your thinking, behaviour and results. My final thought is this. Bell, V.; Halligan, P. W.; Ellis, H. D. (2006). “A Cognitive Neuroscience of Belief”. In Halligan, Peter W.; Aylward, Mansel. The Power of Belief: Psychological Influence on Illness, Disability, and Medicine. Oxford: Oxford University Press. ISBN 0-19-853010-2. Jump up: Baker, Lynne Rudder (1989). Saving Belief: A Critique of Physicalism. Princeton University Press. ISBN 0-691-07320-1. Posted on March 28, 2017 April 16, 2017 Categories coaching, Mind-Body Exploration, mindest, perception, psychologyTags achievement, anchors, beliefs, emotions, limiting beliefs, perception, set backs, thoughtsLeave a comment on Why Are Our Beliefs So Important? Unsurprisingly for many of you, a fear of dentists and dental treatment is a very common phobia in the UK and elsewhere around the world. Almost half of UK adults have a fear of the dentist. 12% of these suffers from an extreme dental anxiety. Women are more likely to suffer from extreme dental anxiety than men. Visiting the Dentist is ranked number one (22%) for making people nervous, even more popular than heights (19%). Direct experience is the most common way people develop dental fears. Most people report that their dental fear began after a traumatic, difficult, and/or painful dental experience. However, painful or traumatic, dental experiences alone do not explain why people develop dental phobia. The perceived manner of the dentist is an important variable. Dentists who were considered “impersonal”, “uncaring”, “uninterested” or “cold” may develop high dental fear in patients, even in the absence of painful experiences, whereas some patients who had had painful experiences failed to develop dental fear if they perceived their dentist as caring and warm. Dental fear may develop as people hear about others’ traumatic experiences or negative views of dentistry (vicarious learning). The negative portrayal of dentistry in mass media and cartoons may also contribute to the development of dental fear. This negative portrayal may come from such films as the 1932 comedy film The Dentist, the unrelated horror film The Dentist, its sequel, the 1933 cartoon The Merry Old Soul, and Marathon Man (the antagonist, Dr. Christian Szell, is a Nazi war criminal who tortures with dental equipment). Dental fear may develop as a result of a previous traumatic experience in a non-dental context. For example, bad experiences with doctors or hospital environments may lead people to fear white coats and antiseptic smells, which is one reason why dentists nowadays often choose to wear less “threatening” apparel. People who have been sexually, physically or emotionally abused may also find the dental situation threatening. If a person believes that they have no means of influencing a negative event, they will experience the feeling of helplessness. Research has shown that a perception of lack of control leads to fear. The opposite belief, that one does have control, can lead to lessened fear. For example, the belief that the dentist will stop when the patient gives a stop signal lessens fear. Helplessness and lack of control may also result from direct experiences, for example an incident where a dentist wouldn’t stop even when the person was in obvious pain. It would be very interesting to read your experiences of dentists and how you feel about your 6 monthly appointment. In the meantime here are some case studies and also additional references at the end. Study 1: Hypnosis in Pediatric Dental Treatment Using elements of hypnosis prior to or during pediatric dental treatment. Results: A review of the relevant research and literature shows that the advantages of using hypnotic elements and hypnosis in pediatric dentistry are evident. Notes: Most dental practitioners are familiar with pediatric patients expressing dental fear or anxiety. Occasionally, the dentist may encounter a situation where all behavioral techniques fail, while, for some reason, premedication or general anesthesia are contraindicated or rejected by the patient or his/her parents and a different approach is required. Hypnosis may solve the problem in some cases. The purpose of this study was to review the literature about techniques that use elements of hypnosis and hypnotic techniques prior to or during pediatric dental treatment. There is a limited amount of literature regarding the use of hypnosis and hypnotic elements in pediatric dentistry. Induction techniques, reframing, distraction, imagery suggestions, and hypnosis are identified, although mostly anecdotally. Results: Intraoperative Propofol administration, patient postoperative pain ratings, and postoperative prescription pain reliever consumption were all significantly reduced in the hypnosis treatment group compared to the control group. Notes: This study aimed to evaluate the use of hypnosis/therapeutic suggestion as an adjunct to intravenous (IV) sedation in patients having 3rd molar removal in an outpatient setting. The patients were randomly assigned to a treatment (n = 46) or control (n = 54) group. The treatment group listened to a rapid conversational induction and therapeutic suggestions via headphones throughout the entire surgical procedure along with a standard sedation dose of intravenous anesthetic. The control group listened to only music without any hypnotic intervention. Intraoperative Propofol administration, patient postoperative pain ratings, and postoperative prescription pain reliever consumption were all significantly reduced in the treatment compared to the control group. Implications of these results are discussed. The use of imagery suggestions during administration of local anesthetic in pediatric dental patients. Results: The authors of this study conclude that imaging/imagery techniques may be successfully utilized in the administration of local anesthesia to young children (from three years of age) in an effort to mitigate untoward, pain-related stress. Notes: The aim of this study was to evaluate the effects of suggestion before and during the administration of local anesthesia to children. Eighty children between the ages of three and sixteen years and who required at least one injection of local anesthesia were monitored. Retrospective examinations of their dental records provided the information regarding the behavior and dental treatment histories of the patients. All other data were provided through observation during the dental treatment phase. During the first treatment session, before the injection, each child was asked to select a favorite, pleasant memory or image. Where children had difficulty in identifying an image, one was proposed by the dentist. After an image had been chosen, the patients were asked to concentrate on the image and to visualize it during the procedure. The majority of children had chosen their own images, and significantly visualized the same images throughout the injection procedures. Image selection and visualization had no association with gender, age, the parent’s assessment of the child’s behavior, previous dental experience, behavior (both past and present) or, management techniques (both past and present). Bracha HS, Vega EM, Vega CB (2006). “Posttraumatic dental-care anxiety (PTDA): Is “dental phobia” a misnomer?” (PDF). Hawaii Dent J. 37 (5): 17–9. PMID 17152624. Milgrom P, Weinstein P, Getz T (1995). Treating Fearful Dental Patients: A Patient Management Handbook (2nd ed.). Seattle, Wash.: University of Washington, Continuing Dental Education. doi:10.1111/j.1600-0528.1996.tb00893.x. ISBN 1-880291-01-0. Erten H, Akarslan ZZ, Bodrumlu E (April 2006). “Dental fear and anxiety levels of patients attending a dental clinic”. Quintessence Int. 37 (4): 304–10. PMID 16594362. For me, being a therapist, counsellor or coach is just like being a good host at a dinner party, because a client is a guest in my practice and they have come because they need something from me that I can give them so I invite them in. If my guest is thirsty, I give them a drink. If they’re belly is rumbling with hunger, I give them food. This is a basic duty of being the host with the most. And in my mind, the same principle applies to a client suffering from stress (and almost every client I see is). When treating a negatively emotionally aroused client, the first thing I need to do is calm them down. Don’t get me wrong, calm empathic listening can take the wind out of the sail of rising cortisol. But sometimes clients need immediate help. Their level of stress has become an emergency, and until you apply therapeutic psychological first aid, other diagnostics and treatments have to wait. It’s equally useless to try to get someone who is dying of thirst to think about their long-term finances, you won’t get anywhere by attempting to help a stressed person until you address their need for relaxation and calm. But why do people suffer stress in the first place? People become stressed when they are not meeting their needs, or fear their needs will stop being met. (What if he/she leaves me? What if I lose my job?) A great visual for our needs is this image below which is an adapted version of Maslow’s Hierarchy of Needs. When these needs, starting from the bottom up, are not met we begin to suffer psychologically and then physically. Emotional stress is a signal that needs are not being met adequately, just as thirst is a physical stress signal that the body is dehydrated. Knowing how to deeply relax stressed clients – offering ‘psychological & physical first aid’ – is a prerequisite skill to make any other therapy or coaching remotely possible. Using talk therapy or getting all analytical when someone is crippled by stress is like giving salted food to a dehydrated guest. Quench their urgent thirst first, then work out how you can help them in the long term. Stress is the one thing almost all psychological conditions have in common. Depressed people always have more of the stress hormone cortisol in their bloodstreams (1). Addicted people are stressed because they aren’t meeting their needs, and they try to relieve that stress through the escapism of addiction (2). People develop panic attacks when they’re generally stressed. Emotional problems are caused by stress, but in turn cause more stress. So, to me, it seems almost unforgivable for any therapist not to be exquisitely skilled in the art and science of relaxation. And this is why I believe all people helpers should be able to heal through calm – and why I have always trained coaches and therapists to do this. Here are three reasons why it’s not just ethical but essential to know how to relax your clients deeply. Pete was clearly on the brink of either exploding or imploding, I wasn’t quite sure which one at first. His facial muscles were rigid, and the deeply etched creases in his face indicated long term tension and stress. Sitting in front of me his breath was shallow, fast and heavy, just like he’d run to my practice – yet he looked frozen in place. It was blatantly obvious that he needed help and right now. Crucially, as I began engaging in conversation I found that he couldn’t think. Every time I asked a question I could see his mind wander off somewhere else. He did say one very important thing though. “I can’t relax, ever”, he said. Yet relaxation was precisely what he needed. Natural, mind-clarifying relaxation, that is, not the alcohol and sleeping tablet induced semi-coma that he’d become accustomed to. We know that depressed brains are stressed brains. Pete was depressed because his needs weren’t being met. And the double bind was that in order to help meet his needs, he needed to become less stressed. Long-term stress inhibits the function of the left prefrontal lobe, which generates feelings of enjoyment and satisfaction (3) and facilitates calm cognition (4). To put it simply, stress inhibits cognitive function. We can’t think or learn when we’re highly stressed. Without wanting to overcook the analogy, you can’t teach someone calculus when they are desperate for water. And good luck trying to do cognitive therapy with someone whose thinking brain is crippled by anxiety. I gave Pete what he needed in that first session, which was deep rest and relaxation. He was a different person at the end of that first session: clear, calm and hopeful. I didn’t just tell him he could feel different. I showed him how to feel different. Pete now had some clear space in his mind to really think about what else he wanted from therapy, beyond the relaxation. Constant stress and failure to relax makes people feel hopeless, disassociated from their personal resources, and therefore helpless. From there it’s not far to go to reach crisis point. Of course, we can’t disentangle body from mind – it’s a false dichotomy. Helping your clients relax will also greatly help their physical wellbeing. For me, a good therapist, counsellor or coach should be able to improve the physical health of their clients by quickly improving their emotional health. High levels of stress are correlated with increased risk of obesity and diabetes (5), and can damage immunity (6) and working memory (7). Prolonged stress (ongoing activation of the sympathetic nervous system or ‘fight or flight’ response) also increases inflammation in the body (8), which can adversely affect digestion (9). Stress-induced inflammation is also implicated in the onset of some cancers (10), heart disease (11), and the physical manifestations of depression (12). This is hardly surprising, as depression is essentially a sense of nervous exhaustion from the stress of unresolved worry and rumination (13). On the other hand, good immune function, clear thought, and feelings of wellbeing can all be promoted through an amazing mechanism that is closely tied to the relaxation response. Let me explain. As a therapist or coach, your job is to help people feel better, to give them the calm and confidence to pursue their goals. When the mind is troubled, the body is troubled – and vice versa. Fortunately for us, there’s something we can use to dramatically improve mental and physical health and reduce inflammation throughout the entire body. It’s called the vagus nerve. The vagus nerve is an incredible meandering bundle of nerve fibres that extends from the brainstem, through the neck and thorax, and finally to the abdomen, where it supplies the gut. This is the widest nerve distribution of any nerve in the body. The function of the vagus nerve is closely tied to your health, both mental and physical. It interfaces with your parasympathetic nervous system (relaxation response) and controls the healthy functioning of the heart, digestive tract and lungs. Low ‘vagal tone’ has been linked to higher levels of inflammation in the brain and body (14). Conversely, when the vagus nerve is stimulated and strengthened, inflammation is lowered throughout the entire body. Social connections (15) and healthy diet (16) both stimulate the vagus nerve, but perhaps the most important and practical way of stimulating the vagus nerve is by practising deep relaxation. In fact, just the simple act of breathing slowly in and out (the exhalation needs to be longer than the inhalation) activates the vagus nerve (17). Relaxation helps our clients feel healthier, not ‘just’ physically but mentally too. Relaxing distressed clients is not just dealing with the symptom – it’s also helping alleviate the cause. When people improve their vagal tone they become more able to make emotional, cognitive and behavioural changes. But as well as all the benefits of relaxation in and of itself, the relaxed state offers a perfect medium for psychological change. It’s during relaxation that we can best help our clients by treating the cause of long-term distress – and here’s how. I remember a client coming to see me who used to have CBT. He recounted how the ‘therapy’ would make him feel so stressed (with all the health implications that entailed) because the practitioner would ask him to replay in the sessions by focusing on all that was and had ever been bad in his life. He learned to schedule the sessions on Fridays because he’d tried other days but found he had to take up to three days off work to recover from the ‘therapy’. So his weekends were ruined which added more stress from frustration. This is absolutely insane. Our clients should feel better after every session. Pete found that after months of building stress, the simple act of relaxing was incredibly therapeutic in itself. But we needed to deal with the reasons for the stress to prevent it from happening again in future. All coaching and counselling uses inner work and what I mean by that is that even if you just ask a client what they want or ask them to think about the past, you are inviting them to go inside their minds to find the answer, to forget the room for a little while and enter a kind of light trance. As a therapist, counsellor or coach, you are using a kind of trance focus whether you know it or not. Relaxed trance (and note that not all trance is relaxing) is the gentle medium through which change work can be done more powerfully and quickly. The relaxation part of any session is also the perfect time for a client to psychologically process earlier work. People make intuitive leaps when they are relaxed and the unconscious mind has a chance to form new possibilities and solutions. Sometimes a reframe won’t take when a person is too stressed, but can be offered and digested in the mind during a state of deep calm and rest. It’s during deep relaxation that we can encourage real insight by having the client calmly use their dissociated, ‘Observing Self’. You can help your client inwardly rehearse new positive behaviours by talking to them gently while they are deeply calm, resting with their eyes closed. This kind of rehearsal makes it more likely a client will actually carry out the behaviours required to help them toward their goals. And there’s more. Relaxation is also the medium through which severe PTSD and phobias are lifted. The brain works through association but sometimes, as with phobias, addictions or low self-esteem, those associations can be harmful. We can use relaxed trance states as a way to unhook damaging pattern matches. To put it another way, relaxation isn’t just the part of the medicine that makes it ‘taste good’. This natural and wonderful mind/body medicine also packs a real ‘nutritional’ punch. Pete learned to relax himself once I’d helped him do it a couple of times. We used deeply relaxed hypnosis to not only help his vagus nerve adjust to a new, more generally relaxed Pete, but also to de-traumatise an old memory so that his flashbacks stopped and his nightmares faded away fast. This is why I strongly believe that every therapist, counsellor and coach must to know how to deeply, quickly, easily and conversationally relax their clients. Never let a client leave a session in need in any way, ever. I found this article on research at Stanford University School of Medicine that has identified three specific areas of the brain that are altered by hypnosis. 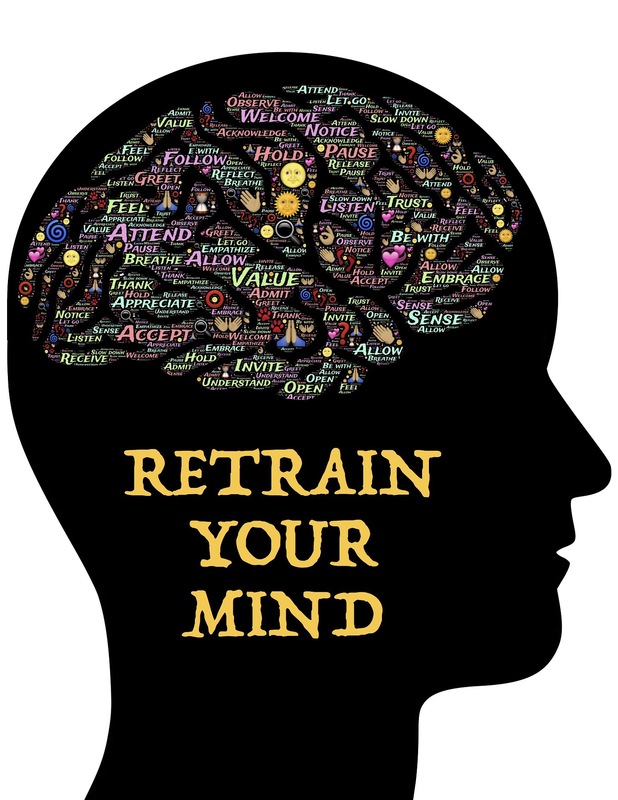 It goes on to explain how effective hypnosis can be in using our minds to control our perception and our bodies and also, that there is a brain-body connection that helps the brain process and control what’s going on in the body. So many benefits to using hypnosis to your advantage. Now I realise that this may sound a little odd to some of you, but often, “trying harder” doesn’t always make things better or solve your problems. Sometimes you need to do something radically different to in order achieve your goals.When you find yourself stuck in one spot for too long you often need to break out of your comfort zone or pattern of behaviour in order to get to where you want to go. This is the case with many things including work, relationships and also your physical fitness. Whats really interesting (and encouraging) is that this does NOT always mean working harder. It’s just that sometimes working harder is not the right answer to being successful, sometimes we just need to work smarter. Not everything can be fixed with a hammer, no matter how hard you swing, sometimes you need a different tool. Over the past two decades I have worked with thousands of people both online and in person and along the way I have discovered little words/phrases that can pretty much predict a persons success or failure. In fact, whenever I hear these words I can pretty much guarantee that the person saying them will not be successful. I’ll try to get the work done. I’ll try to make healthy food choices. I’ll try to start exercise or exercise more often. I’ll try to get to bed earlier. I hope I can achieve that. I hope I’ll make it. Words and phrases like this tend to lead us to presuppose that we will fail and that we don’t really believe that we can achieve, so when we don’t we aren’t too disappointed. In essence we set ourselves up for failure. If these are your answer to ANYTHING that you know you must do in order to achieve your goal, then I suggest you revisit just how important your goal is to you and listen to the kinds of words and phrases you use and write when talking about your goals. Small changes in how you think, speak and write can make a huge difference to your ability to succeed. I want you to succeed and I know that you can when you set your mind on the track from the beginning.